There is no shortage of opportunities to make a difference in McDonough County. We mobilize local residents to take action on the causes they care about through innovative volunteer opportunities, events, and campaigns. We are committed to creating a culture of volunteerism that creates meaningful change in our community. Whether you’re looking for a one-time opportunity, trying to establish an ongoing volunteer relationship, or any of the other many benefits of volunteering, we have something for you! 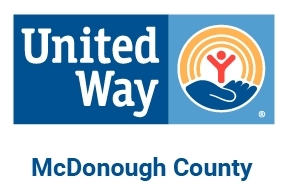 Volunteering provides opportunities for everyone on your staff or in your group to participate in the campaign, provides an important resource for local agencies, and helps to educate and engage individuals in McDonough County United Way’s work in the community. Contact us today to learn more about corporate or group volunteering. McDonough County United Way’s Brand Ambassadors or Special Committees are great places to learn about our community, meet interesting and committed people from all walks of life, develop leadership skills, and help people in the community.